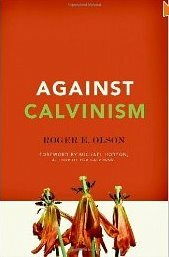 In the sixth chapter of Against Calvinism, Roger Olson states his objections to the “high Calvinist” understanding of limited atonement/particular redemption. Once again Roger objects to the inconsistency of “four point” Calvinism, in agreement with “five point” Calvinists, and he finds himself ironically in agreement with hyper-Calvinists in his conviction that belief in limited atonement “makes it impossible reasonably to make a well-meant offer of the gospel of salvation to everyone indiscriminately” (137). Roger notes that texts cited in support of Christ’s death for his own people (Jn 10:11, 14-18; 11:51-52; 17:6, 9, 19; Rom 5:12, 17-19; Rev 5:9) “do not deny that it is for others as well” (140, 145). He is unable to make sense of the high Calvinist claim that Christ’s death was “sufficient” for all, if that sufficiency does not imply that Christ bore everyone’s punishment (141, 143). So Roger can not understand why high Calvinists object when Arminians distinguish between Christ’s accomplishment of satisfaction for the sins of all, and the application of that satisfaction only to those who fulfill the conditions of repentance and faith. Olson is particularly offended by the “vicious calumny against non-Calvinists” which asserts that their soteriology “speaks of a God who enables man to save himself” (142). Roger asserts that “Athanasius (together with all the Greek church fathers, Martin Luther, John Wesley, and numerous other great orthodox men and women in Christian history) believed that Christ died for all without exception, including suffering the penalty for everyone’s sins” (153). Until Calvin’s scholastic followers (but not Calvin himself) proposed otherwise, “nearly every Christian of renown” believed “that Christ was the substitute for everyone without exception, such that every obstacle to God’s fogiveness for every person was removed by his death. They also believed that the benefits of that sacrifice would only be applied to persons who believe—whether they are elect (Luther and Calvin) or freely choose to accept God’s grace (Athanasius, Aquinas [who, I interject, better belongs with Luther and Calvin, even though he affirmed libertarian freedom, in a “hard” form of compatibilism], the Anabaptists, Wesley)” (153). In short, “Christ died for every single human person in such a way as to secure their salvation without requiring it or making it certain. Subjective appropriation is a condition of said secured salvation being one’s possession” (148). Roger states that “some of the Reformed divines gathered at the Synod of Dort rejected this point of TULIP, siding with the Remonstrants on this matter,” as did many Puritans at the Westminster Assembly from which the Westminster Confession emerged (154). More importantly, Roger is convinced that Paul taught universal atonement in 1 Corinthians 8:11, where he issues “a dire warning to those of ‘strong faith’ to avoid offending the consciences of their weaker brothers and sisters,” because they “might actually cause a person loved by God, for whom Christ died, to be ‘destroyed’” (147). This is a very interesting time for me to be responding to this chapter in Olson’s work, because of the way my own understanding has been changing. In Who Can Be Saved?, I argued for the high Calvinist position to which Roger is objecting, and I still held that conviction at the time I started to work my way through Roger’s book. John Murray’s Redemption Accomplished and Applied had been the catalyst in my becoming a Calvinist, in 1966, and Murray was himself very strongly influenced by Frances Turretin who held to the position that Roger has critiqued, a single intention understanding of the atonement, in which Christ died only for the elect. So, it was natural for me to begin my Calvinist journey with that understanding. Early in my new theological understanding, I read John Owen’s definitive work on the atonement, The Death of Death in the Death of Christ, in an edition to which J. I. Packer had written a powerful foreword that I found very persuasive. Much more recently, working within the same tradition, Robert Letham’s treatment of this issue in The Work of Christ was helpful to me. In an earlier post, I had agreed with Olson’s statement that “four point” Calvinism is incoherent, and a lengthy discussion ensued with David Ponter. The upshot of that conversation, and of the reading to which it led me, was that I came to the conclusion that there is a better way to understand Scripture than the one so thoroughly defined by Owen, one which also has a very respectable genealogy within the Reformed tradition (what Ponter calls “classic-moderate Calvinism”), and which affirms the Canons of Dort. Given the newness of these thoughts, I’m still working through all the implications of this move, but I have not yet found reason to go back to Owen’s reading. I now believe that Christ had two intentions in his atoning work, rather than just one, which both high Calvinists and Arminians have asserted, though they disagree about what that intention was! I have gained a new appreciation for Bruce Demarest’s approach to this matter. He proposes that the question of God’s intent in the atonement should be divided into “God’s purpose regarding the provision of the Atonement and his purpose concerning the application thereof” (The Cross and Salvation, 193). The provision side is part of the general will of God that must be preached to all and it asserts that Christ died to provide salvation for all. The application side is part of the special will of God “shared with those who come to faith;” it affirms that “Christ died to make atonement for all to the end that its benefits would be applied to the elect” (193). In sum, “by divine intention Christ’s suffering and death are universal in its provision and particular in its application” (193). Probably, you can see at once that this position reduces significantly the gap between Calvinism and Arminianism, though it does not remove the basic scandal of monergism. Interestingly, Roger aimed all of his objections at the high Calvinist assertion of limited provision, which is not a problem when Calvinists affirm a distinction between God’s intention for provision and for application. For the same reason, two key objections that Calvinists (including me!) have often brought against Arminianism’s doctrine of universal provision are no longer valid. I now think that Olson is correct when he charges that high Calvinists who claim that Christ’s death was “sufficient for all” do not really believe it. To say, as I too had done, that, if more people had been elected to salvation, no further sacrifice would have been necessary, is not really valid, if the satisfaction accomplished by Christ was not universal. Olson is also right to reject the Calvinist claim that universal provision and penal substitutionary function can not be put together without resulting in universal salvation. The charge confuses accomplishment/provision with application. What Christ did, as penal substitute for all human beings, was to bear the curse of the law against sin, thereby making it possible for God to justify sinners without violating his own justice. This is why key leaders of the Calvinist reformation, Zwingli and Calvin, both spoke in such strong terms about what Christ accomplished in his death, while also affirming that he did it for everyone. Christ’s atoning qualitatively satisfied the demands of the law so completely that God could justly forgive every sinner who fulfils the necessary condition of repentance and faith. There is no grace in accepting a pecuniary satisfaction. It cannot be refused. It ipso facto liberates. The moment the debt is paid the debtor is free; and that without any condition. Nothing of this is true in the case of judicial satisfaction. If a substitute be provided and accepted it is a matter of grace. His satisfaction does not ipso facto liberate. It may accrue to the benefit of those for whom it is made at once or at a remote period; completely or gradually; on conditions or unconditionally; or it may never benefit them at all unless the condition on which its application is suspended be performed. These facts are universally admitted by those who hold that the work of Christ was a true and perfect satisfaction to divine justice. The application of its benefits is determined by the covenant between the Father and the Son. Those for whom it was specially rendered are not justified from eternity; they are not born in a justified state; they are by nature, or birth, the children of wrath even as others. To be the children of wrath is to be justly exposed to divine wrath. They remain in this state of exposure until they believe, and should they die (unless in infancy) before they believe they would inevitably perish notwithstanding the satisfaction made for their sins. It is the stipulations of the covenant which forbid such a result. Such being the nature of the judicial satisfaction rendered by Christ to the law, under which all men are placed, it may be sincerely offered to all men with the assurance that if they believe it shall accrue to their salvation. His work being specially designed for the salvation of his own people, renders, through the conditions of the covenant, that event certain; but this is perfectly consistent with its being made the ground of the general offer of the gospel. Lutherans and Reformed agree entirely, as before stated, in their views of the nature of the satisfaction of Christ, and consequently, so far as that point is concerned, there is the same foundation for the general offer of the gospel according to either scheme. What the Reformed or Augustinians hold about election does not affect the nature of the atonement. That remains the same whether designed for the elect or for all mankind. It does not derive its nature from the secret purpose of God as to its application. (Systematic Theology, 1: 557-58; also available digitally here). The key difference, between this double intention Calvinistic perspective and the single intention perspective of Olson’s Arminianism, is that we recognize that Christ did not die with the intention of doing the same thing for everyone. He died to make perfect satisfaction for human sin, bearing the curse of the law and of the Father’s wrath against sinners. In this regard, he died “for all.” But he also died with the more limited intent of saving the elect and, for this to come about, the Holy Spirit must apply Christ’s work to individuals through effectively enabling them to meet the conditions for salvation, repentance and faith. In that regard, Christ died “for the elect.” The Trinitarian harmony is preserved in this understanding. Years ago, when I first read Demarest’s splendid work on salvation, I disagreed at very few places, but one was in this matter of the extent/intent of the atonement. I deemed Demarest a four point Calvinist. I now recognize, however, that I was wrong. The purpose of TULIP was to provide Calvinists with an easy acronym by which to remember the conclusions agreed upon at Dort. So, as I was reconsidering my “Owenist” way of thinking, I reread the “second head” of the Canons of Dort, “Of the Death of Christ, and the Redemption of Men thereby.” I believe that the position I have stated above more accurately expresses the position asserted by Dort than my previous understanding did. Art. III states: “The death of the Son of God is the only and most perfect sacrifice and satisfaction for sin; is of infinite worth and value, abundantly sufficient to expiate the sins of the whole world.” It is on this account that, according to Art. V, “the promise of the gospel . . . that whosoever believeth in Christ shall not perish, but have everlasting life” should be “declared and published to all nations, and to all persons promiscuously and without distinction.” Many do not repent or believe in Christ and they “perish in unbelief,” but “this is not owing to any defect or insufficiency in the sacrifice offered by Christ upon the cross, but is wholly to be imputed to themselves” (Art. VI). But those who do truly believe and are saved “are indebted for this benefit solely to the grace of God given them in Christ from everlasting, and not to any merit of their own” (Art. VII). This is because “it was the will of God, that Christ by the blood of the cross, whereby he confirmed the new covenant, should effectually redeem out of every people, tribe, nation, and language, all those, and those only, who were from eternity chosen to salvation, and given to him by the Father; that he should confer upon them faith, which, together with all the other saving gifts of the Holy Spirit, he purchased for them by his death” (Art. VIII). Obviously, the eighth article is the point at which Arminians drop away. But I will be much more careful, in future, when I make judgment calls about whether a person is a four or five point Calvinist. A robust affirmation of God’s intent to provide salvation in Christ that is “sufficient to expiate the sins of the whole world” (Art. III), provided it is accompanied by an affirmation of God’s “will to effectually redeem … those only, who were from eternity chosen to salvation, and given to [Christ] by the Father,” puts a person in line with Dort, and hence a five point Calvinist. A real four point Calvinist would be someone who held the Arminian position in regard to the atonement, a single intent to provide salvation to everyone, with no special intention for the elect. If you are looking for a concise but excellent presentation of a double intention view of the atonement, I suggest you take a look at this piece by Broughton Knox (d. 1994), an Australian theologian. Earlier posts in this series: Part 1, Part 2, Part 3, Part 4, Part 5, Part 6, Part 7, Part 8, Part 9, Part 10,. This entry was posted in Books, Soteriology and tagged atonement, Calvinism, Roger Olson. Bookmark the permalink. 14 Responses to For whom did Christ die? Have you looked into the Biblical evidence against Penal Substitution, namely an analysis of what the Bible actually says about “Atonement”? HERE is an Article that looks at the Biblical term for “Atonement”. In any event, I thought I’d say that I shared your post on my new site (http://thearminiusforum.net/2012/03/15/for-whom-did-christ-die-terrence-l-tiessen/). Thanks for writing! Protestants did not invent the idea of “penal-substitution.” The Catholic Church has proclaimed the doctrine, throughout history. The Book, “Pierced for Our Transgressions: Recovering the Glory of Penal-Substitution” is a helpful resource for showing the historical church witness to the doctrine of penal-substitution. (Thomas Aquinas, Summa Theologiae, vo. 54 (London: Eyre & Spottisweede, 1965), p.63. This particular quote is found in question 47, article 3; citing Rom 11:22; 8:32; 3:25). As I noted on my blog, you are not distinguishing between Satisfaction and Penal Substitution. The book Pierced for Our Transgressions made the same mistake because they thought any reference to Christ dying for us or enduring a punishment or whatever automatically translated into Penal Substituion rather than Satisfaction. I’m curious: How do you understand that quote by Eusebius without seeing the idea of Christ bearing the “penalty” we deserve, or without the idea of Christ as “substitute” somehow implied in these words? For starters, consider that Eusebius used the term “chastise,” which is what Isaiah 53:5 uses. But the term “chastise” refers to fatherly correction, not a judicial punishment, see Hebrews 12. The OT uses the term “chastise” for a specific purpose and never uses it in regards to a forensic/penal punishment. The death, scourging, insults, and dishonor were means of Christ making atonement (see the link earlier) but in no way are to be understood as if Christ received physical death and insults and such ‘in our place’, otherwise we wouldn’t be able to undergo these as well, following in His footsteps. The quote says nothing about God the Father dumping the wrath due to us on His Son. Thank you for sharing your insights on this topic. The way you articulate this is clear and very helpful. The extent/intent of the atonement is a bit of a paradox, insofar as the question, “did Christ die for the sins of all People?” can rightly be answered “yes … and no.” Your explanation shows why and how this is true, whereas Dordt seemed merely to state the facts. As you have shown, the whole subject requires study and can’t really be simplified to the “L” in our acronym. Thanks, I appreciate this article, and the phrase “double intention”. Terrance, I’m curious about the language of “provision” and “application”. Could we phrase the position like this (rather crudely): Christ’s death bought the conditional “If A repents and believes the gospel, then A will be saved” for all men (provision) but only the antecedent (“A repents and believes”) for some (application)? It seems to me that acquiring the conditional for everyone is how God shows his love in John 3:16: “For God so loved the world, that he gave his only Son, that whoever believes in him should not perish but have eternal life.” Surely the statement “that whoever believes in him should… have eternal life” just is the conditional! Regardless, is this what you mean when you speak about provision and application? As far as I know, that is not the typical understanding of penal substitution. It’s not as if Christ took our place of receiving insults and death on earth. He took our place in that he was punished (penal) for our sin instead of us (substitution). So we still follow his footsteps by receiving these insults and death on earth (since Christ didn’t remove those), but we don’t get punished for our sins since they’ve been paid for in Christ already. And while I agree that Satisfaction and Penal Substitution are distinct ideas (just by definition) they do still work together in the doctrine which affirms that God’s wrath was satisfied (and our sins dealt with) through punishment of Christ in our place. Thank you Roland, you have stated nicely the concept I was affirming in regard to the broad and narrow intentions of Christ in his death. Do you know how this view compares to Amyraldianism? Chris, you raise a good question. In Who Can Be Saved?, I wrote a short appendix explaining how my proposal of universal sufficient grace differed from Amyraut’s hypothetical universalism in regard to the atonement. At the time, I thought in terms of a single intent in the atonement, to save the elect, although God also had plans to bless the non-elect in various ways as a fruit of Christ’s work. Now that I think in terms of a double intent, I have come closer to Amyraut. In fact, my proposal of a work of the Holy Spirit that is universal in sufficiency but particular in effect is now even better grounded in a work of the Son that is universally sufficient, though effective particularly for the elect. Bottom line, I think that Amyraut was on the right track. I do not adopt his way of describing the divine decrees, but I concur with the substance of his understanding of God’s intent in Christ’s atonement, where I previously did not, having gone down the other line represented at Dort, when I wrote Who Can Be Saved? I would like to do more work on Amyraut. I was aware previously of considerable sympathy between his theology and mine, but I need to revisit him in light of recent development in my own thinking. I’ve been studying the “Marrow of Modern Divinity” recently, with notes by Thomas Boston, and I have been appreciating the insights of Boston regarding the free offer of the gospel. I think that the Marrow Brethren were very much consistent with Calvin & also with this concept of “double intent” that you refer to – though I have not found that term so directly stated. Thank you Chris. That is a very fine collection of excerpts on the theme.